Archroma is 100% committed to providing a safe workspace for all its employees in every single country, unit or facility in which we are working; safety matters. Archroma operates 24 specialty chemical production sites in 16 countries worldwide in 2017. Archroma operates to BS OHSAS 18001 : 2007 for all manufacturing sites for occupational health and safety management systems. Archroma has a Global Head of Safety, Health and Environment, as well as a Safety and Environment Officer at each of its manufacturing plant. In addition to this, as safety is a priority, Archroma has defined 12 ‘Life Saving Rules’ as the foundation for safe ways of behavior for all employees, irrespective of their position within the company, or sub-contractors working in any country, unit or facility. The Life Saving Rules extend to employee behavior at all times. A safety topic as the initial item on all meeting agendas. All relevant staff are provided with, and trained to use, suitable personal protection equipment (PPE). This is required to be worn whether for operating within Archroma facilities or in third party facilities (for example on-site visits to customers’ manufacturing facilities). Archroma has twelve “Live Savings Rules” in place as the backbone of its approach to safe ways of working. Each Archroma employee makes a personal signed commitment to follow the 12 Live Savings Rules. Both the lost time accident rates (LTAR) and the overall incident rates (OIR) are measured and monitored throughout the company, for reporting purposes these are combined into an overall total reportable injury rate (TRR). In addition, the employees are encouraged to report “near miss” potential accidents. All of these categories allow incident analysis by the site safety committees with improvement actions to prevent re-occurrence. Archroma allocates its site-based Safety, Health & Environment (SHE) Award based on the number of accidents at the site. 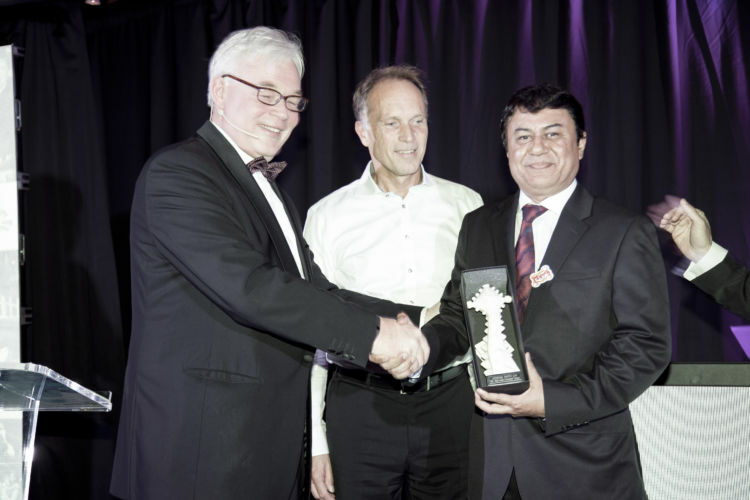 The award was given to the site of Jamshoro Pakistan, who completed 1 Million Safe Work Hours. The last recorded Lost Time Accident (LTA) in Jamshoro dates back to August 2012.